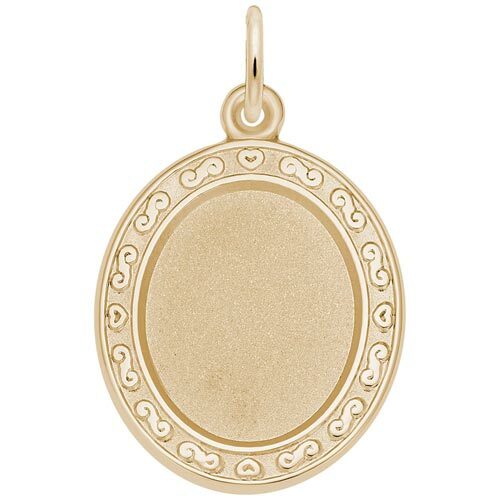 Oval Scroll PhotoArt® Charm by Rembrandt Charms. The height is 3/4 of an inch. The elegant outline of the Oval Scroll PhotoArt® Charm makes it a classic frame for any of your photo memories. This charm can be engraved on the back.